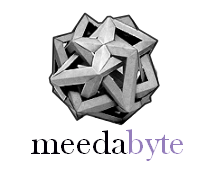 As you may have noticed, the publication rate on meedabyte is a bit halted lately: I moved most on my writing on a medium channel dedicated to Platform Design. You can access Stories of Platform Design here. A few weeks ago, following a great workshop we had in Ruralhub, we added a new canvas to the pack: the Experience Learning Canvas. You can access a detailed post explaining how to interpret and use the Experience Learning canvas on our Medium Channel and we also continued to explore the example of Airbnb (see below), and you can of course access the Google Drawing document to add your comments and download the canvas from the website. Follow Us on Platform Design Toolkit own website: www.platformdesigntoolkit.com.